Learn more about the pests that can affect us here in South Florida. It’s possible to pick up bed bugs almost any place. They’ve infested offices, stores, hotels, gyms and countless other places. They can hide in your luggage, personal belongings, or even on YOU. Bed bugs can hitchhike a ride back to your home, condo, townhouse or apartment. 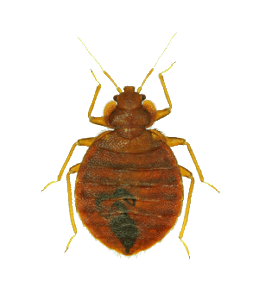 Once indoors they can be extremely difficult to control without the help of an experienced pest specialist. A bed bug infestation has nothing to do with cleanliness. You can pick them up in the finest hotels and they can be found in the cleanest homes. You can help reduce your chances of a costly bed bug infestation by catching them early. Contact Bugs or Us, Inc. right now to get rid of bugs! the ability to hide in very small refuges. German cockroaches prefer confined spaces and they are small compared to other pest species so they can hide within small cracks and crevices that are easy to overlook thereby evading humans and their eradication efforts. Conversely, the seasoned pest controller is alert for cracks and crevices where baits and sprays are often used. To be effective, control measures are comprehensive, sustained and systematic. Survival of just a few eggs is enough to regenerate a nearly exterminated pest population within a few generations. Re-colonization from surrounding populations often is very rapid too. Another problem in controlling German cockroaches is the nature of their population behavior. Though they are not social and practice no organized maternal care, females carry an average of about 32 eggs during incubation until just before hatching instead of dropping them as most other species of cockroaches do. This protects the eggs from certain classes of predation. Then after hatching, nymphs largely survive by consuming excretions and molts from adults thereby establishing their own internal microbial populations and avoiding contact with most insecticidal surface treatments and baits. As an adaptive result of pest control by poisoned sugar baits, a strain of German cockroaches has emerged that react to glucose as extremely bitter. They refuse to eat sweetened baits, which presents an obstacle to their control given that baits are an economical and effective means of control. It also is a dramatic illustration of the adaptive nature of this pest. Attraction to sugars strongly promotes growth, energy and reproduction. Cockroaches that are not attracted to sugars take longer to grow and reproduce. Contact Bugs or Us, Inc. right now to get rid of German cockroaches! 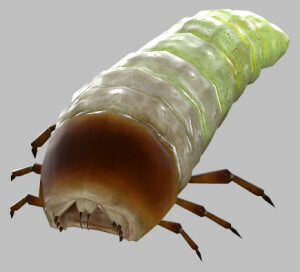 Due to their large size and slow development, large infestations of these insects are not common within houses. However during certain times of the year these cockroaches may move inside a house from outside. 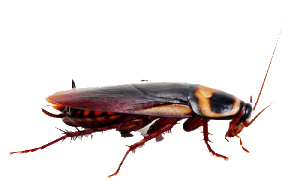 In cold weather these cockroaches may move indoors seeking warmer temperatures and food. 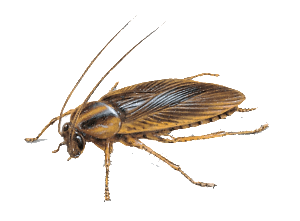 Cockroaches may enter houses through sewer connections, under doors, around plumbing, air ducts, or other openings in the foundation. Cockroach populations are controlled with the use of insecticides. It is also wise to cover any cracks or crevices through which cockroaches may enter. Always clean any spills or messes so that the cockroaches aren’t attracted to the food source. Another way to prevent cockroach investations is to thoroughly check materials that have been carried inside. Cockroaches and egg cases are often hidden inside or on furniture, in boxes, suitcases, grocery bags etc. 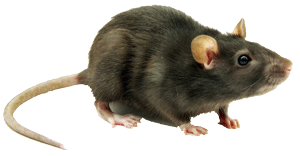 Flea infestations require multifaceted treatment plans. Addressing only a pet’s infestation or flea bites will not prove effective for ridding your home of fleas. Effective flea control should include both chemical and physical methods and should be conducted on your pet as well as inside and outside your home. Of course the primary plan of action is to check your pet daily. 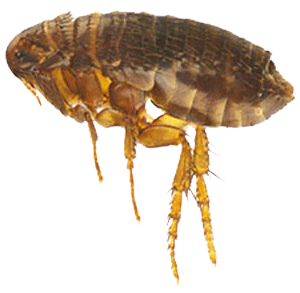 Catching fleas early will hamper their effect on your pets and in your house. Fleas are not the only pests that can cause discomfort to your pet. Contacting your veterinarian and pest control professional will help you determine if the problem impacting your pet is fleas. They will encourage you before they arrive to ensure that your home is clean. It is helpful to vacuum thoroughly, sweep and mop hard-surfaced floors, wash all bedding and linens and clear the floor of debris. After taking these steps, your pest control professional will administer proper treatment to infested locations on the inside and the outside of your home. Your pest control professional may ask you to complete other tasks around your home in preparation for treatment. They can also help advise you on ways to prevent future flea incursions. Contact Bugs or Us, Inc. right now to get rid of fleas! Tick removal should be done with great care to reduce the chance of infection. The use of forceps or tweezers is the most efficient removal technique. Be sure to wash your hands before and after tick removal. When removing ticks from the skin, take care not to crush the body of the specimen. This may further expose bite victims to harmful bacteria and diseases. Grip the tick as close as possible to the tip of the head. The mouth parts should also be thoroughly removed from the victim’s skin. Once removed, isolate the specimen inside a bottle with a lid. Wash your hands and the affected area. If the victim has medical concerns, he or she should see a medical doctor. 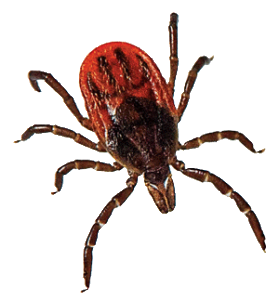 Contact Bugs or Us, Inc. right now to get rid of ticks! pointed ends. Norway rat droppings are 18 to 20 mm and capsule shaped. Other indicators can include nests or grease marks along surfaces. Indoor nests are often found in areas such as attic insulation. Grease marks show up where the rodent has moved along an edge and left bend some of the oils from their fur. Help is just a phone call away! Get rid of those pesky roof rats today! Call us now at (239) 337-4484 or click here to send us your message. Please click any of the following links to see detailed information about more pests found here in SW Florida.